Hello friends!! I have a new card for you. I used the “Sketched Lines” stencil by Altenew and Distress inks on the background. I gold embossed the flowers and leaves from the “Floral Frame” set by Altenew and colored it using Zig markers, fussy cut them and arranged it on the card panel. Added lots of splatters using the Distress inks and gold paint. The sentiment is from the same set. Lastly, added some sequins. Love how festive it looks. Gorgeous color combinations. Hope you will like my card. Thank you so much fro stopping by and see you all soon. 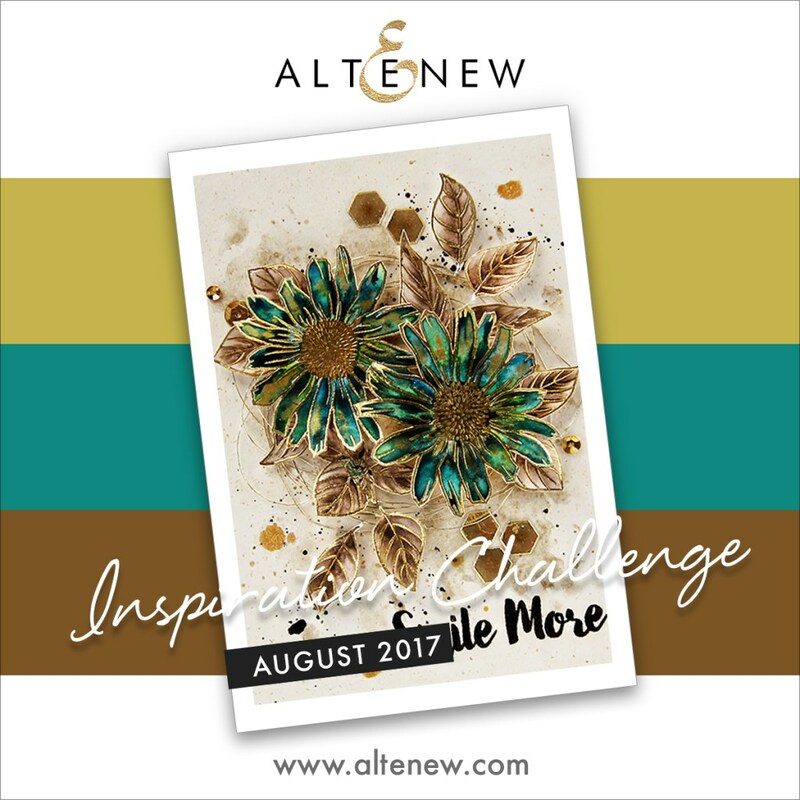 So beautiful for the Altenew challenge Kanan. This is GORGEOUS, Kanan. You really know how to make some amazing backgrounds, and that’s something I really want to learn. I seldom try new things (I’m so bad). Thanks for sharing your talents with us. Such a beautiful card!! Love the pretty flower! Fabulous design!! 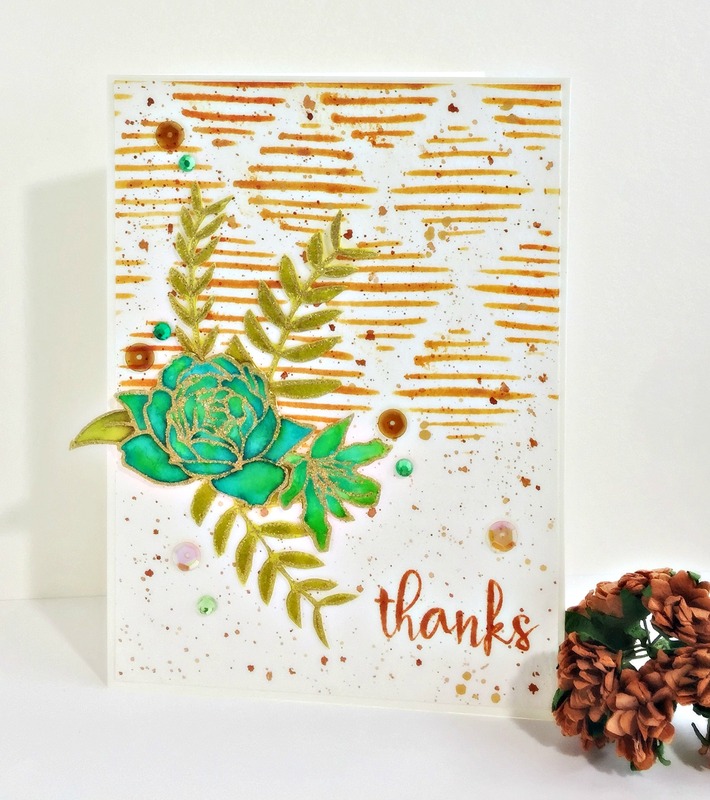 Thank you for joining us at the Simon Says Stamp Wednesday Challenge blog! Previous Previous post: Three Bright and Happy Cards – Mudra Craft Blog!! !